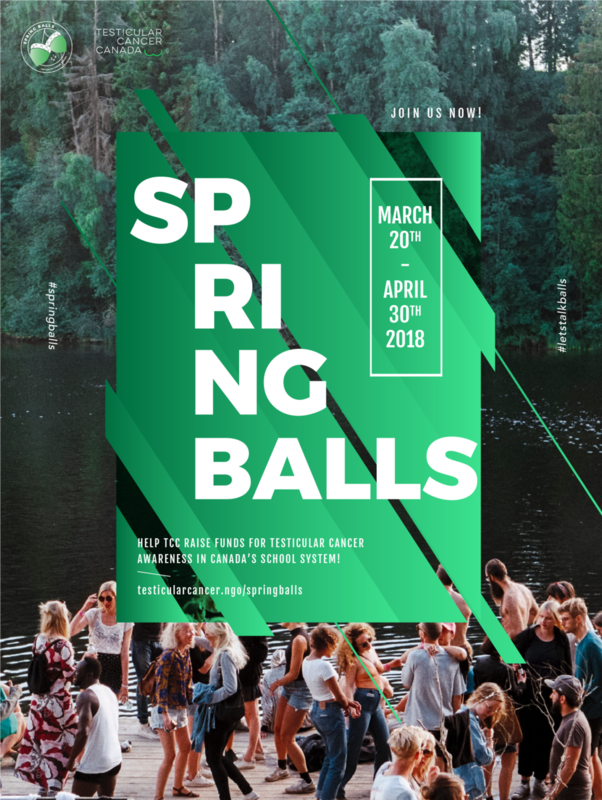 Spring Balls is Testicular Cancer Canada’s main fundraising campaign. Beginning on March 20th, the first day of Spring, and ending on April 30th, Spring Balls invites Canadians to organize fundraising events that are active or festive. Also, thanks to Testicular Cancer Canada’s donation structure, each donation of $28 will go directly to raising awareness of a high school classroom in Canada.